I was stumped this morning. It’s Monday, I said to myself. 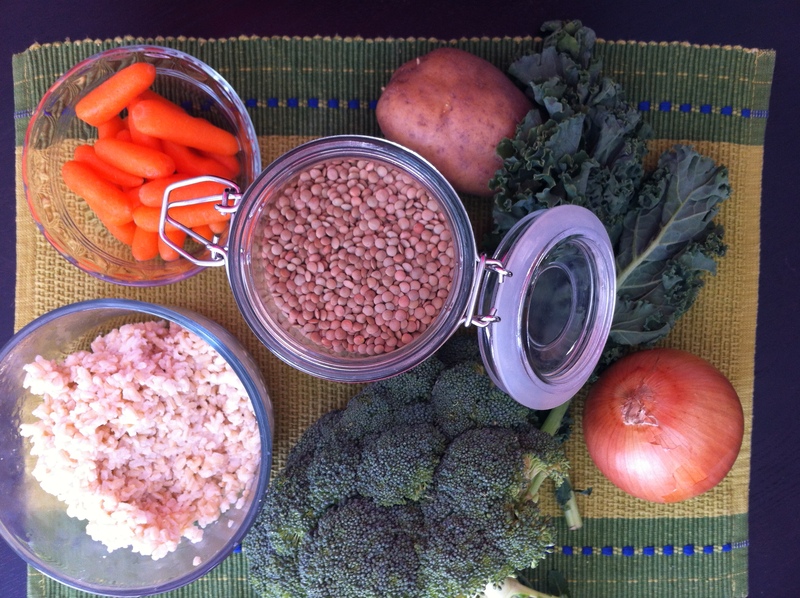 What will be my Meatless Monday recipe for the week? For the past several weeks I’ve had a backlog of things I’ve made, photographed, and been waiting to share with you. Today I ran out. Agh! I hadn’t even planned my menu for the week yet, so I had no ideas. I know I’m making spaetzle on Wednesday for a dinner guest and Red Lentil Sweet Potato Stew for Friday night’s dinner party. But what will I have today? When in doubt, clean out the fridge! 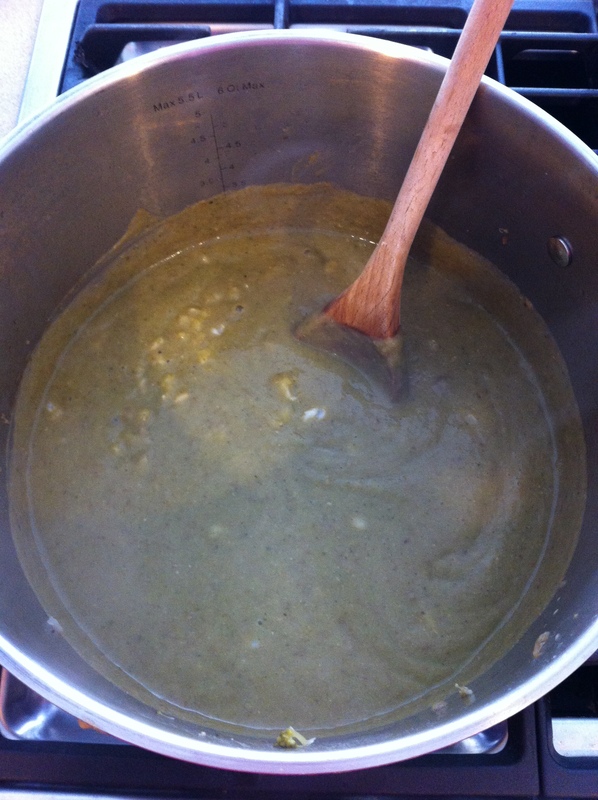 I had a head of broccoli I had meant to use in a soup recipe I didn’t make. I had part of a bag of baby carrots, one potato left from making mashed potatoes, leftover brown rice, and some kale on its last legs. Throw in half an onion and some lentils from the pantry, and I was sensing a soup coming together. I worried about what to do to flavor it, but after blending the soup up, it was perfect the way it was. Just a little salt and pepper and a little chili powder on top of my bowl. This is the kind of recipe that should certainly be adapted to suit what’s leftover in your fridge and pantry. No lentils? A can of beans should do. No rice already cooked? Skip it, or use quinoa or barley. Got some celery handy? Toss that in. Use what you’ve got and make it your own! 1. Dice the onion, carrots, and broccoli. Peel and dice the potato. Remove the stems of the kale and chop the kale into ribbons. 2. Heat the butter in a stock pot and cook the onions until they are soft and translucent. 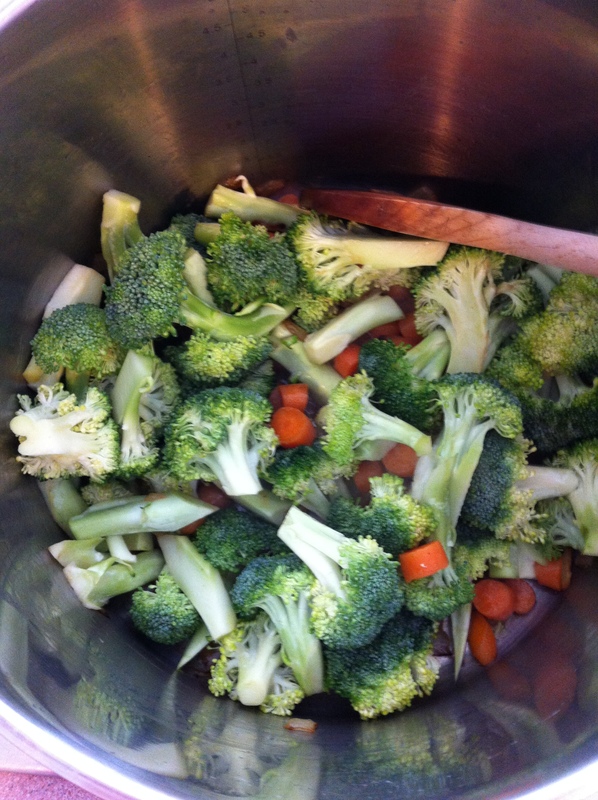 Add the carrots and broccoli to the onions. Cook for 5 minutes and then use the red wine to deglaze the pan. This makes sure all of the yummy bits of partially burned veggies come up off the bottom of the pan and mix into the soup. 3. 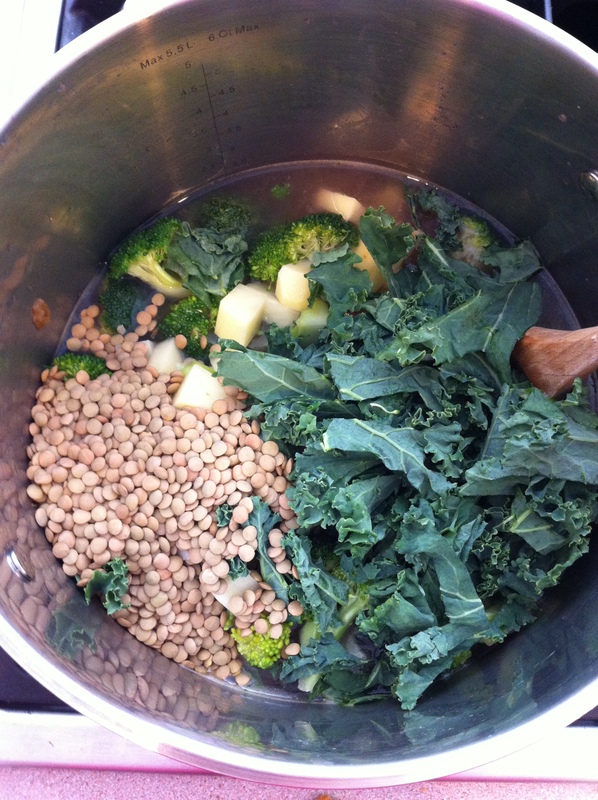 Add the kale, potato, lentils, water, bouillon, and salt and pepper to the pot. Bring to a boil and simmer for 30 minutes. 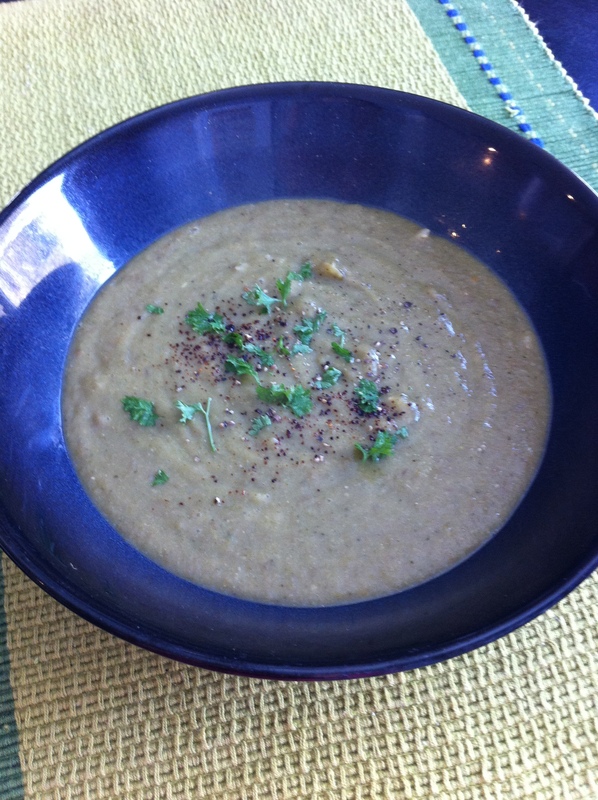 Blend the soup in batches in a blender and return it to the pot. Stir in the rice and heat until heated through. 4. Serve topped with fresh parsley, chili powder, and cracked pepper. One year ago: Pancakes for one, please! I love just throwing everything in a pot and making a delicious soup! Good way to make sure nothing gets wasted.